Each year�s the Illinois School Library Media Association nominates 20 children�s books for the Bluestem Award. These books are for students in grades 3-5 who are ready for longer titles and may include both timeless classics and current titles. Cheesie Mack is Not a Genius or Anything is in great company along with Wonder (R. J. Palacio), Because of Winn-Dixie (Kate DiCamillo), Clementine (Sara Pennypacker with illustrator Marla Frazee), and Knights of the Kitchen Table (Jon Scieszka with illustrator Lane Smith). All the nominees are on the 2014 Master List. The Great Stone Face Book Award is given annually to an author whose book receives the most votes from 4th through 6th graders throughout the state. 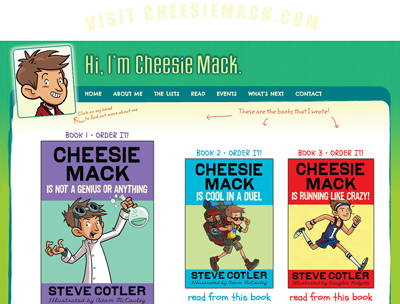 Cheesie Mack is Not a Genius or Anything is one of 25 nominees (including Katherine Applegate's The One and Only Ivan) that was chosen from a pool of recently-published titles by a committee of New Hampshire's children�s librarians. The 20 books nominated for the South Carolina Children�s Book Award are chosen to encourage students to read good quality contemporary literature and to honor the authors of the books annually chosen the favorites by student vote. 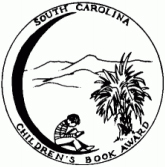 The South Carolina Children�s Book Award celebrates books appropriate for a 3-6 grade level. Cheesie Mack is Not a Genius or Anything was one of 25 nominees for 2012-2013. Other books on this prestigious list include Belly Up (Stuart Gibbs) and Newbery Honor title Inside Out & Back Again (Thanhla Lai). 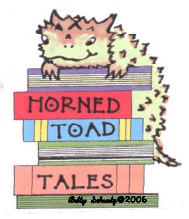 The Horned Toad Tale books, appropriate for grades 3-5, are a list of 20 titles chose for the students of Houston's Cypress-Fairbanks School District (110,000+ pupils). To quote the selection committee: "The Horned Toad Tale Award is a REAL AWARD that is given to a REAL AUTHOR." Cheesie Mack is Not a Genius or Anything was one of the nominees in 2013.